History is wrong and we know it. You know it. Everyone knows it. Just look at our history books. As a matter of a fact, even researchers are slowly coming to accept that some things in history must desperately be changed. In the last couple of decades, archaeologists around the globe have discovered a number of ancient sites which go further back in history than previously thought possible. It turns out that thousands of years ago, our planet was inhabited by advanced civilizations and ancient man was extremely well developed, contrary to what mainstream scholars suggest today. Some of these sites were created by unknown civilizations, which obviously had the means, knowledge and technology to achieve amazing things, thousands of years ago. In this article, we bring you five extremely advanced ancient sites built more than 12,000 years ago which ultimately prove that advanced civilizations existed on Earth in the distant past. Without a doubt, Göbekli Tepe is one of the most incredible ancient sites created on the planet. It is the ultimate evidence that tens of thousands of years ago, advanced cultures inhabited our planet. Göbekli Tepe defies our knowledge of the past. From what researchers were able to understand so far, it was built as a temple, created with giant limestone blocks that predominate the different part of the “Stonehenge of the desert.” After 13 years of digging, scientists investigating the ancient site have failed to recover a single stone-cutting tool. The site is so large that archaeologists have unearthed only 5% of the giant temple complex. The mysterious temple, which consists of three huge stone circles was deliberately buried for an unknown reason in the distant past. No one has been able to understand how ancient humankind, which was believed to be incapable of such feasts, erected some of the greatest stone-works on the planet. But what mostly bothers mainstream scholars is the fact that so far, they have failed to unearth a single stone cutting tool from the ruins of Göbekli Tepe. One of the most incredible ancient sites is without a doubt the incredible vast tunnel complex that stretches from Scotland to Turkey. In fact, researchers that the original tunnel network must have been so large that a number of smaller tunnels managed to survive after 12,000 years. Researchers have discovered thousands of tunnels across the European continent. These incredible advanced underground works stretch from northern Scotland to the Mediterranean. While the reason behind these sophisticated tunnels remains a mystery, many experts believe that this huge 12,000-year-old network was built as a protection against predators and other dangers 12,000 years ago. 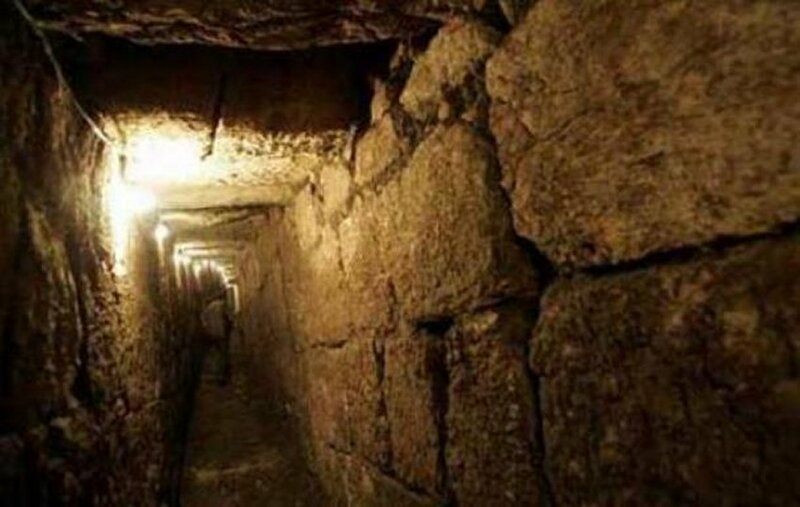 Some experts believe that these mysterious tunnels were used as modern-day highways, allowing the transition of people and connecting them to distant places across Europe. The fact that these tunnels have been found points towards incredible ancient ingenuity which is anything but what history books tells us today. Ancient mankind had the knowledge and tools to build complex structures over ten thousand years ago. The construction of Sacsayhuamán remains a profound mystery for researchers who have failed to understand how ancient people managed to quarry, transport and place these megalithic stones. Sacsayhuaman is perhaps one of the best examples that ancient mankind had the knowledge and means to erect incredible ancient sites thousands of years ago with ease. While mainstream scholars firmly believe these sites we created without the use of advanced technologies, millions of people around the globe sustain that not only were sites like Sacsayhuaman built thousands of years ago by advanced civilizations, but they also had in their possession now lost technologies that allowed them to build some of the most incredible ancient sites on the planet. The intricate, MASSIVE, interlocked walls of Sacsayhuaman are the ultimate evidence of advanced technology. Creating something like this today is nearly impossible, even with all of the fancy technology that engineers and architects have at their disposal. The megalithic boulders of Sacsayhuaman were placed together with such precision that the site cannot be compared to any other similar complex on Earth. In fact, the stones at Sacsayhuaman are so closely spaced that not a single sheet of paper could feet between the boulders. The precision at Sacsayhuaman, in addition to the size and weight of the rocks and their unmatched shapes, and the general design of the walls have puzzled scientists and experts for years. Sacsayhuaman remains one of the greatest archaeological mysteries of all time. All images remain copyright of their respective owners.